My Maltese weights 8.2lbs. 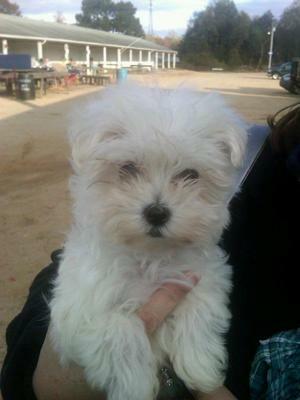 Is this ok , for a Maltese? My husband spoils her with the treats... but we love her so much. 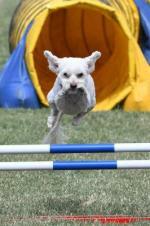 Your little girl is on the high end of the weight for Maltese but as long as she gets plenty of exercise she is fine. 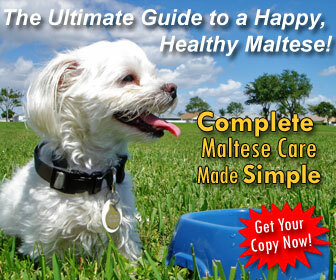 There is a difference between over-weight and just big, My male Maltese is 9+ pounds at almost a year. 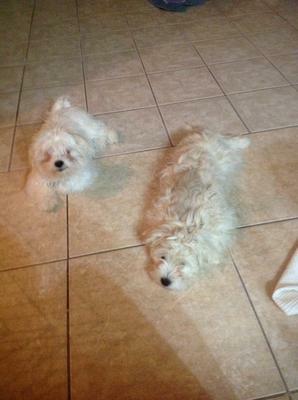 It seems somewhere along the line Maltese are getting a bit bigger. Depends on their breeding and genetics. People that want the little tiny ones are having to pay really top dollar to get them. I prefer my baby the way he is as I don't have to worry quite so much about him getting hurt. Enjoy her and don't worry about her size unless she gets "over-weight". My baby is 9wks now and is about .89 lbs. (yeah, not even a pound yet) she's a Maltichi. I might just be confused, but the chart was ???? for me. 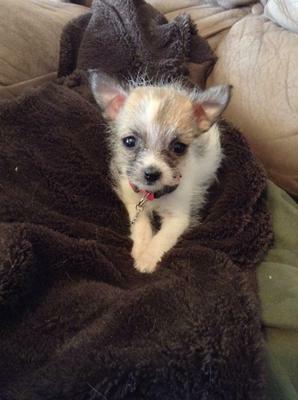 However, if I do the doubling thing, then I think she will be just under the 4lb mark. She is pretty tiny now, so no telling. Teakah and my Irish Wolfhound are getting to be good friends now, along with our Schnausador. We're still guessing on how the fur will turn out, but she's a real cutie. At 5 1/2 weeks, my Maltese puppy Molly weighs 24oz. According to the Maltese puppy weight chart she will probably be around 6lbs when fully grown. This is the perfect size for a Maltese! After adopting Tucker and taking him to the vet for a check up he weighs 8lbs. According to what I've read, that is about all he should weigh full grown however, he is very skinny and I can feel his ribs. I thought he was underweight but now I'm not sure. My very small Morkie puppy was finally able to leave her mom and come home!I must say, she's adorable! Probably the cutest puppy I've ever had and so well behaved - such a great personality. She's 9-10 wks old and weighs 20oz (1.4 lbs). 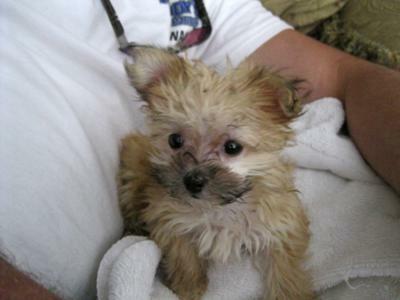 Her mother was a 4lb Maltese and dad was a 3lb Yorkie - both great quality. She was the smallest in the litter. The breeder told me she'll stay under 4lbs. 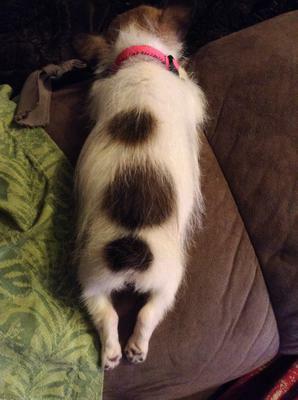 According to your puppy weight chart and others - she should be about 3.5 lbs. My Maltese Yorkie is 12.6 pounds. Is this a normal weight for a 18 week male. Lucy is 11.5 lbs... I thought (and still think) she is perfect, but when I took my Maltese to the vet he told me "she lost her bikini waist" then went on to tell me how much a pound or two impacts a dog as small as her. I felt so bad because I had no clue. 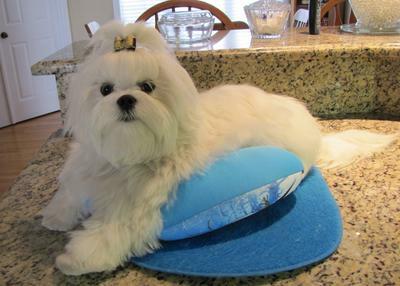 I thought my Maltese's weight was fine! My female Maltese is around 8 lbs. She is almost 11 months. I got her at 11 weeks and the Vet said it depends on her parents. She doesn't eat a lot but I don't know about her parents. To me she is perfect. She was 2.2 lbs when I got her....I was so afraid she would get under my feet. I think it's hard to know how much a dog should weigh. My sister has a german shepherd and she always asked her vet if he was overweight...to which the vet replied.....No, he's fine. That is until he starting having hip problems at age 6...then the vet said he needs to loose 30 lbs. I think that is terrible....I mean, he didn't gain those lbs. overnight and she DID always asked about the dogs weight too. Negligence on the vets part...don't you think? Is Lucy a pure bred Maltese or mixed? 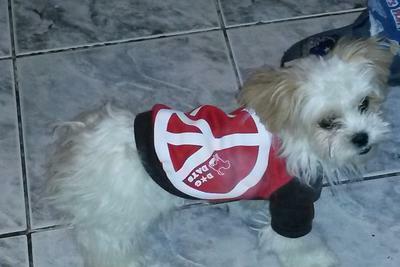 Just wondering, cause my Ollie is half Maltese and half Shih tzu which makes for a larger dog than a pure Maltese. Still, I sometimes wonder if he's too big too. Though I give him what the package says......1 cup per day (half in the morning and half late afternoon. I think it may depend on how much activity they get don't you? Ollie has his bursts in the house....and very active when he gets to go out...but the rest of the time he's a couch potato..lol He weighs 16 lbs.....half of which is fur I think:) Age is a factor too, I think. How old is Lucy? Ollie is 18 months old. Anyway, good luck with Lucy! I'd love to see her picture too! My puppy Niko is now 8 months and weigh 10.5 lbs. At 6 months old he already weighted 8.5 lb. When I bought him I was sure I would have a small little Maltese between 5 to 6 lbs... what a surprise today to see my little puppy is over 10 pounds. But hey, we love him to pieces, he is adorable and so sweet and smart and very cuddly... so now his weight does not matter to me anymore!!! Hope it will work for you, just need consistency every morning and patience....GOOD LUCK. HOpe this help you.....good luck. Hi my Lily is over 10 lbs too. You are right, it does not matter at all. She did have tear stains. Our vet suggested antibiotics. The tear stains never came back. You may want to ask you vet about this. Well, I wish we could add more photos on this post...My little Niko is now 11 months and weighs 11.5 pounds, yes, a huge surprise but let me tell you he is worth the 11.5 pounds, he learns so much and so fast, our house would be so sad without his presence around...He is so lovable and friendly and loves everybody, we could not have asked for a better dog...he loves to be on my lap, watches television with me and loves to watch videos, sometimes we think he understand everything......ha. 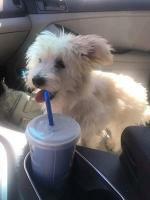 Thanks for listening and hope you enjoy your little Maltese as much as I enjoy mine....I would love to add photos so anyone knows how we can do that"??? Thank you so much re: apple cider vinegar, I appreciate that you took the time to let us know Maltese Lovers about how to use it as well...I will definitely give it a try, the only way to find out if it will work for my little Niko. Do enjoy your little puppy as I do love mine as well....they are so loving and adorable. Have a good Fall Seasons. I bought my little Lexi at 8 weeks and she already had terrible tear stains (honestly brick red tear stains) and I was reading up on how to get rid of them I was browsing through different forums and I read to add 1 teaspoon of apple cider vinegar to the drinking water which I did and in less than a month the new hair was growing out with no tear stains and now her face is completely white no tear stains at all. now I only add the vinegar once every week or when I do remember for maintenance so it don't recur but what the Braggs apple cider vinegar does is balance the PH level in the dog killing the bacteria and preventing the tear stains. now Lexi is 5 months and 2 weeks and two days. Just a little update, my little Niko has not gain anymore weight since I changed his food from Chicken to a company ACANA, great food they have for dogs that have chicken allergies, I choosed the pork & buttersquash, no grain, no corn nor soya...it's been 4 weeks now and he stayed at his 10.5 lbs since the day I did the change...At 9 months in two days he is such a loving and cuddly puppy and friendly and fearless of any dogs, he tease them to play which worry me some cause we don't always know how the other dog will react....he loves attention, lets me brush him and cut his hair without any fuss...Wish I could add mores photos on this message. Anyway, take care and keep loving your sweet loving pet. 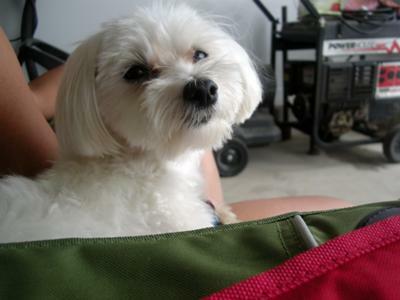 Your not so little Maltese is absolutely gorgeous!! Such a lovely face, perfect pure white colour and an excellent coat. You may have wanted him smaller but I think his size is ideal. We have a Maltese girl and she is just under 5lbs and I always worry about how fragile she is. 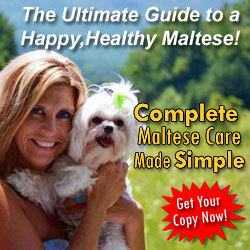 Don't Maltese have just the best personalities??!! 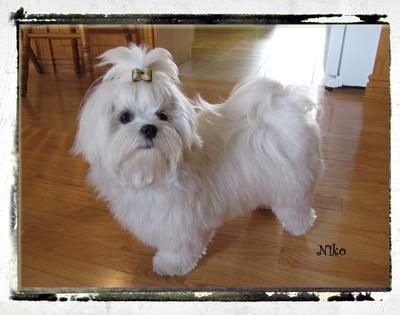 What a BEAUTIFUL Maltese. Her body conformation is unbelievable. LOVE her short stocky look, adorable face and beautiful coat. LOVE the way you have her cut. Too cute. I have 4.5 mo. 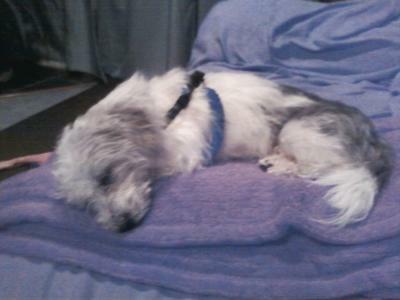 old Morkie, mostly white with tan ears and some tan spots. Coat is not too thick right but hoping that it will thicken when he matures. What a PRECIOUS dog!!! I have a 4.5 mo. old Morkie parti-color. Mostly white with tan ears and some tan spots on his body. I LOVE the coat on your Niko. My Toby's hair is not too thick right now. I am so hoping that his coat turns out similar to your Niko. 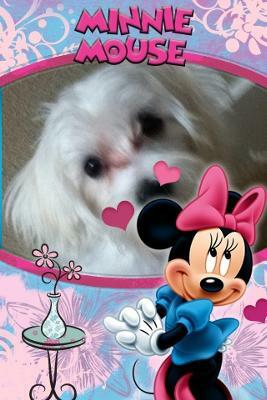 Mom is a Maltese and Dad is a Yorkie but I do not have any pics. He is wonderful regardless of his coat. I am having a problem with eye staining and am working on that. Have you encountered that problem? Thanks for finding my little Niko a CUTIE....you're right he is a cutie and not only that he gives us so much love and lots of attentiond towards my husband and I...we are both retired and this little bundly of joy is adding so much to our every day occupation and we love it...He brings life and sunshine into our home and the people that come and visit. We both bond with Niko by teaching him some tricks and we walk twice a day with him which in return helped me in loosing 15 pounds....ha...a real bonus...Don't be shy in getting yourself a little furry friend and love him lots.. They were born July 9, 2015. They now weigh 10 pounds. I was told they were Maltese puppies. But they are so big. Some people tell me they are not Maltese. Who cares? You've given them names that'll work for big dogs. Enjoy. They look great! Please see his pic he is slightly a bit bigger now but I think its more a little belly fat. What a cute puppy. enjoy this bundle of joy.